BetterYou™ Magnesium Flakes are ideal for replenishing the body with this essential mineral, promoting overall wellbeing, aiding skin health and relaxing muscles, effectively relieving tension and stiffness. 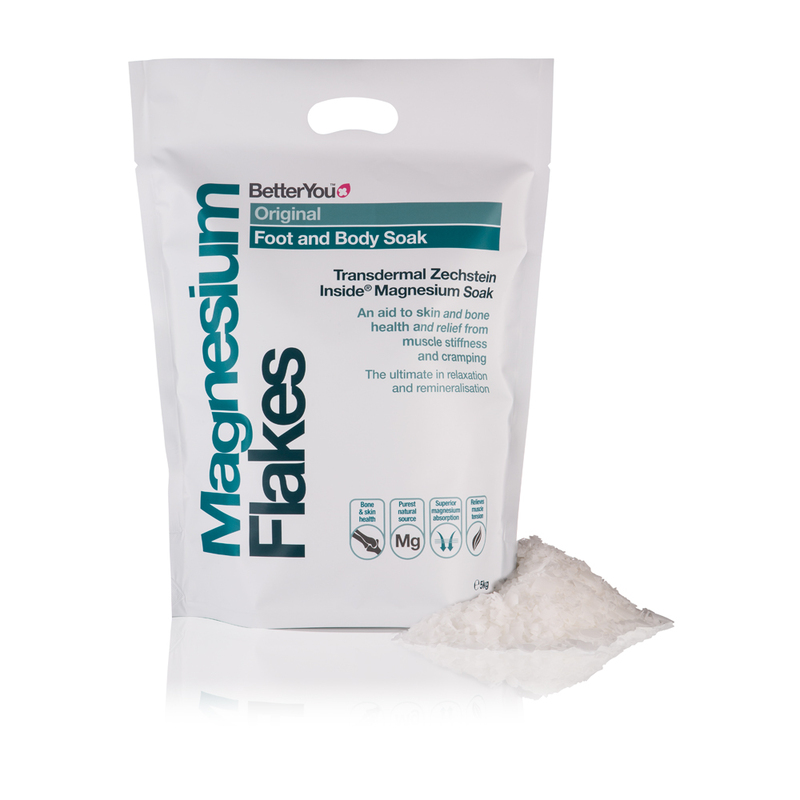 Taking a magnesium-rich bath allows full body exposure to a concentrated solution of magnesium chloride. Providing a gentle and effective method of supplementation. Footbath:Add 150g magnesium chloride flakes (roughly 1 cup) to approx. 5 litres of water, enough to cover your feet. Sit and relax for 20 minutes. Bath:Add 250g magnesium chloride flakes (roughly 2 cups) per bath. Lie back and relax for 20 minutes. Increase dosage for more intensive treatment or after extensive periods of exercise.